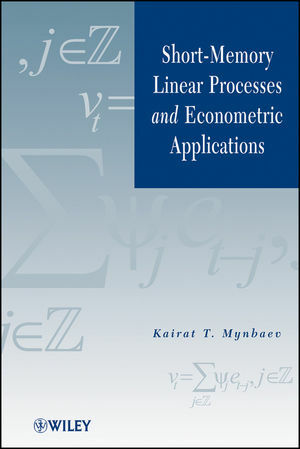 This book serves as a comprehensive source of asymptotic results for econometric models with deterministic exogenous regressors. Such regressors include linear (more generally, piece-wise polynomial) trends, seasonally oscillating functions, and slowly varying functions including logarithmic trends, as well as some specifications of spatial matrices in the theory of spatial models. The book begins with central limit theorems (CLTs) for weighted sums of short memory linear processes. This part contains the analysis of certain operators in Lp spaces and their employment in the derivation of CLTs. The applications of CLTs are to the asymptotic distribution of various estimators for several econometric models. Among the models discussed are static linear models with slowly varying regressors, spatial models, time series autoregressions, and two nonlinear models (binary logit model and nonlinear model whose linearization contains slowly varying regressors). The estimation procedures include ordinary and nonlinear least squares, maximum likelihood, and method of moments. Additional topical coverage includes an introduction to operators, probabilities, and linear models; Lp-approximable sequences of vectors; convergence of linear and quadratic forms; regressions with slowly varying regressors; spatial models; convergence; nonlinear models; and tools for vector autoregressions. Kairat T. Mynbaev, PhD, is Professor in the International School of Economics at Kazakh-British Technical University (Kazakhstan). He has published numerous journal articles as well as three books in his areas of research interest, which include quantitative methods, asymptotic theory, policy issues, functional analysis, applied analysis, and statistics. 1 INTRODUCTION TO OPERATORS, PROBABILITIES AND THE LINEAR MODEL. 1.8 Convergence of Random Variables. 1.11 General Framework in the case of K Regressors. 2 Lp-APPROXIMABLE SEQUENCES OF VECTORS. 2.1 Discretization, Interpolation and Haar Projector in Lp. 2.2 Convergence of Bilinear Forms. 2.3 The Trinity and Its Boundedness in lp. 2.4 Convergence of the Trinity on Lp-Generated Sequences. 2.5 Properties of Lp-Approximable Sequences. 3 CONVERGENCE OF LINEAR AND QUADRATIC FORMS. 3.2 Weak Laws of Large Numbers. 3.3 Central Limit Theorems for Martingale Differences. 3.4 Central Limit Theorems for Weighted Sums of Martingale Differences. 3.5 Central Limit Theorems for Weighted Sums of Linear Processes. 3.6 Lp-Approximable Sequences of Matrices. 3.9 Convergence of Quadratic Forms of Random Variables. 4 REGRESSIONS WITH SLOWLY VARYING REGRESSORS. 4.3 Slowly Varying Functions with Remainder. 4.4 Results Based on Lp-Approximability. 4.6 Regression with Two Slowly Varying Regressors. 5.1 A Math Introduction to Purely Spatial Models. 5.2 Continuity of Nonlinear Matrix Functions. 5.3 Assumption on the Error Term and Implications. 5.4 Assumption on the Spatial Matrices and Implications. 5.5 Assumption on the Kernel and Implications. 5.6 Linear and Quadratic Forms Involving Segments of K.
5.8 Asymptotics of the OLS Estimator for Purely Spatial Model. 5.9 Method of Moments and Maximum Likelihood. 5.11 Examples and Computer Simulation. 5.13 The Roundabout Road (Mixed Model). 5.14 Asymptotics of the OLS Estimator for Mixed Spatial Model. 6.2 Various Bounds on Martingale Transforms. 6.3 Marcinkiewicz–Zygmund Theorems and Related Results. 6.4 Strong Consistency for Multiple Regression. 6.5 Some Algebra Related to Vector Autoregression. 6.7 Strong Consistency for Vector Autoregression and Related Results. 7.1 Asymptotic Normality of an Abstract Estimator. 7.2 Convergence of Some Deterministic and Stochastic Expressions. 7.4 Binary Logit Models with Unbounded Explanatory Variables. 8 TOOLS FOR VECTOR AUTOREGRESSIONS. 8.1 Lp-Approximable Sequences of Matrix-Valued Functions. 8.3 Matrix Operations and Lp-Approximability. 8.5 Convergence and Bounds for Deterministic Trends.